When it comes to interior painting in Clearwater, St. Petersburg and Tampa Bay areas, there are a number of things you want to take into consideration before starting the project. West Shore Construction is certified to paint your home in a way that will last. When deciding about an indoor painting contractor, it will help to get a working idea of the kind of look you are going for, what materials you want to use, and the type of contractor you are going to hire. Doing so will make the home remodeling project a lot easier and time efficient. The color of a room has a tremendous effect on the vibe it gives off. Although sometimes soothing, darker color, like navy blue, tend to make the space appear smaller, so should be avoided at all costs if you are looking to make a small space look bigger, however, bold and bright colors make a great choice for accent walls (one wall painted a different color) and gives any room an instant touch of modern sophistication. When deciding on a color for your home it is important to explore your options. While you may think you know the general look you are going for, don’t be afraid to leave your comfort zone and test out some different unique options. You never know what colors you could end up falling in love with once they are on your walls. Similarly, sometimes home owners are convinced they want a certain color, only to feel entirely different after they have seen that color take up 4 walls worth of space in their home, rather than just on a color wheel. The type of paint used for interior painting in your Tampa, Clearwater or St. Pete home will depend largely on which room you will be working in. For example, a bathroom requires special mildew-resistant paint because of the moisture. You should also request from your contractor the paint used has a low level of Volatile Organic Compounds (VOC) or that the paint is VOC free to ensure the safety and health of your family. The type of brand you choose is subjective, though many trust the contractors to use the right brands that will guarantee the paint job will last. The most important factor to consider while looking for a painting company is that they are insured and licensed. Too many people are able to pass themselves off as professionals when they are not even state certified. Be sure to confirm the company you are looking to hire can prove that they are certified by the state. Also, pay attention to how attentive and prompt they are with responding to your calls and requests; if you can’t get a hold of them now, you probably once be able to after they’re hired, either. At West Shore Construction, we are attentive in contacting you or returning phone calls. If you are looking to get a free quote for interior painting in the Clearwater, St. Petersburg and Tampa Bay area, call West Shore Construction today at 727-488-8058. When I was in elementary school, the art teacher gave me a project to paint my favorite thing in the world. Like any Florida native, I painted the sun rising over the ocean. The only problem with this masterpiece was that she couldn’t tell if I drew a llama or a cat. Needless to say, after that incident, my desire to pick up a paint brush has been pretty slim. 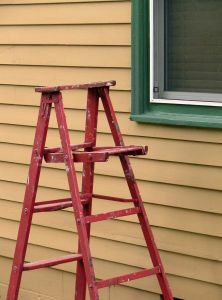 That’s why when it came time for an exterior house painting in Clearwater, I was a little hesitant on trying it myself. Out of the advice (more like demand) of my father, I called the professionals at West Shore Painters. I thought since they were a construction corporation I would be hiring more painters after they finished the job. Boy was I wrong. These young men showed up to my home with a smile on their face. I simply told them the paint I wanted, and I let them go to work. By the time these skilled workers were complete, I took a look at my home and smiled in relief. Not only was it exactly what I wanted, but the quality was phenomenal. This paint should last me a long time. If you ever should find yourself needing exterior house painting in Clearwater, I would advise you to call West Shore Construction. If you are considering painting your home without any assistance, I would advise against it. The Florida weather is at an all-time high. Temperatures can rise well into the 90’s with humidity so high you may as well be taking a shower. The professionals at West Shore offer a great service at a wonderful price, so there is no need to do the hard work yourself. The work week is hard enough, so give yourself a day of rest and let the experts do the hard work. Call West Shore today at (727) 488-8058 and enjoy your weekend again. Pinterest has magically made people feel like they can conquer any home project with a trip to Michael’s. And, sometimes, that is true. Actually, thanks to Pinterest, people are getting more creative and hands-on with their homes. But there are some home projects that should not be DIY. Ever. (I don’t care how many Pins you have pinned to your “Dream Home” board that you think will help you). Painting your home is one of those projects. If you are fortunate enough to realize that your home could use a little rejuvenation, consider yourself one of the few because far too many people are in denial that their house looks good– which is understandable. After all, it is something we see every day of our lives; it’s hard to notice the small wear and tears that happen. But over time our paints fade, crack and peel. They lose their vibrant appearance– especially when they’re forced to withstand the brutal Florida heat day after day. Don’t make the mistake of trying to paint your house yourself. While exterior house painting can look like the fun, exciting, and bonding life event often portrayed in movies (topped with a music backdrop), it is actually a frustrating, rigorous and tedious project that you’ll be grateful you hired a professional painting contractor for. Not only will they be able to offer expert advice, like the best colors to paint your home if you are trying to sell it, but they will save you time, energy and money that you can put towards another home project you’ll be more successful at…. like crayon art or bur-lapping your lamps. Keep in mind that there are certain things you need to keep in mind before hiring a painting contractor. But once you find the painting company in Largo you feel confident with, you will be glad to be able to sit back and watch your home regain it’s aesthetic appeal and value. After all, beauty is important on the outside, too. At least when it comes to your home. For a reliable and professional house painting company in Largo, call West Shore Painters today to schedule a FREE EXTERIOR HOUSE PAINTING ESTIMATE! 727.488.8058. Did you know that the color your home is painted can actually have an affect on how well it sells? Most people are aware that certain colors have certain psychological effects on people, but most don’t apply that knowledge when it comes to their homes. The past few years have not presented us with the best economy, and so it’s important that if you are looking to sell your piece of real estate, you gain a cutting edge over the competition out there. If you call us at West Shore Painters, we’ll come out and give you a free estimate for house painting in Clearwater and surrounding areas and help you decide the best course of action to take. When most people are shopping for their new dream house, they are looking for a certain number of bedrooms, a certain style, a place close to good schools they can send their children to. And even if they are okay with finding a home that needs some work done to it, the way it is initially presented does influence how they view it. As with people, you only have one chance to make a first impression. Painting your home the right color can provide a backdrop for imagination for your potential buyer. It will give off a certain vibe. So what are the best colors to paint your home if you’re trying to sell it? Two of the most popular colors are, as you can probably guess, white and tan. But maybe not for the reasons you think. White: It meshes well with any neighborhood, it’s neutral and clean looking, and it often makes property appear larger. Beige/Tan: These color are a great option for a home located in a scenic and/or wooded environment. It gives a warm, friendly feeling. Too many people try to make their house “stand out” and end up painting it a more vibrant color hoping to really grasp the attention of potential buyers. But it is important to keep in mind that you are trying to sell your home, not enter it in a contest. While eccentric colors might attract your perfect buyer, it is both a safer and better option to appeal more to a wider audience… if you want to have a higher chance of selling it, anyway! If you are looking to sell your home and want to get a FREE ESTIMATE for exterior house painting in St Petersburg, Clearwater or a surrounding area, give us a call at West Shore Painters today. We are currently offering a Summer Special: $500.00 off exterior house painting jobs in Hillsborough, Pinellas and Pasco County. Call today and we’ll be happy to come out to your home to give you a free estimate (727) 488 8058. Contractors (of pretty much every kind) don’t have the best reputation. It seems like a very, very long time ago, a very mean person gave the rest of contractors a bad name. And maybe in your own experience you’ve found the stereotype to be true– that contractors are inconsiderate jerks. And many probably are. As with any profession, there are people who are willing to do the bare minimum to get by in their daily jobs– and then there are people who go above and beyond every opportunity they receive. When you enjoy the work you do, the latter is much more likely to happen. You can’t always help some of the people you’re forced to deal with throughout your day– may it be a lousy waiter, a cranky customer service rep or an uncooperative automated machine, some people we just have to put up with for certain services. But there are certain jobs that we need done that we should need (and deserve) to be selective about. Having your house painted is one of those jobs. When it comes to your home, where you spend probably a majority of your time and invest a lot of pride in, you’re allowed to get picky. Not only are you trusting your painting contractor access onto (and often INTO) your property for a designated period of time, but you are also investing a lot of time, trust and money in this person to get the job done correctly, cost-efficiently, and in a timely manner. So how do you hire the right painting contractor? 1. Word of mouth. Surely you’re not the only person in group of family/friends and community that has needed their house painted in the past few years. Ask around for referrals. This way, you can get honest opinions from people you know. You could also go to your local Home Depot, Lowes or Paint Store to ask for a referral. (After all, chances are these stores are very familiar with the local painters). Also, if you come across a contractor you may want to use, don’t feel shy asking them for references. If they are trustworthy and go above and beyond to satisfy their customers, they should have no problem providing you with this info. 2. Get estimates. Most painting contractors should give you free, onsite quotes. If they don’t offer you a free estimate, move on to one of the many that will. 3. Inquire about the company background. Are they state licensed and insured? How long have they been in business? Are they family owned? Do they believe in green building? 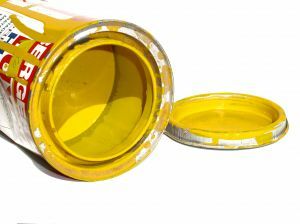 What kinds of paints do they use (Low VOC paints, etc)? These things matter more to some people than others, but asking these kinds of questions will give you a better idea of the kind of company you are dealing with. 4. Search online. Use Google to find local contractors that specialize in house painting in and around your city. Do they have a website? Do they have Google reviews? 4. Talk to them about the specifics of the job. What might make the job particularly difficult (strangely shaped rooms, wall ornaments, etc). Do you only want them to come at certain hours of the day, or certain days of the week? See if they are flexible. Initially dealing with potential problems could save you a lot of wasted time and energy. Also, simply raising these concerns can tell you a lot about a painting contractor– based on how they react/respond. Do they seem genuinely willing to work around your individual needs to get the job done? Or do they seem annoyed? If there are certain colors you’re considering, but can’t decide– talk to them about that– even if you haven’t hired them yet. Painting is their profession and they should be experienced. It’s important you feel confident they know what they are doing. Certain colors make rooms look bigger, smaller, etc. Its their job to know these things so you can consult with them. 5. Ask about pricing. Do they charge by the hour? Or by square foot? Or by the job? Decide which kind of pricing works best for you and for your home. Shop around and compare prices. 6. Pay attention to what they do just as much, if not more, than what they say. It’s a rule of life. Don’t take their word that they are a trustworthy company and that they are courteous. Do they call if they are going to be late? Do they do their best to conveniently work around your schedule and meet you half way? Or are they always unavailable, tardy, and inflexible? 7. Trust your gut. Most people know within minutes of talking to someone whether or not they like them. At the end of the day, you are looking for the best house painting company, not a new best friend. But if you get strange vibes from someone, or your instinct tells you they are not someone you can communicate and work well with, move on. There are a lot of unreliable contractors out there, but there are also a a lot of really good ones that will far exceed your expectations if you let them. At the end of the day, it is important that you feel comfortable and confident with the person you are trusting with the appearance of your home. What has been your experience with contractors in the past? Have you ever dealt with someone in business that has completely exceeded your expectations? 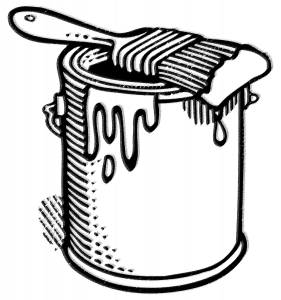 West Shore Painters, a division of West Shore Construction Corporation, has been in business since 1985. Family owned and operated, West Shore specializes in house painting in Palm Harbor, Tampa, Largo, Clearwater, St Petersburg, Seminole, and all surrounding Southwest Florida communities. They use low-zero VOC paints and specialize in green building. West Shore is also Florida State Certified & Licensed#CBC044653. To speak with a professional house painting contractor in Palm Harbor, Clearwater, St Petersburg, Tampa Bay and surrounding Florida areas today, call (727) 488-8058 for more information.